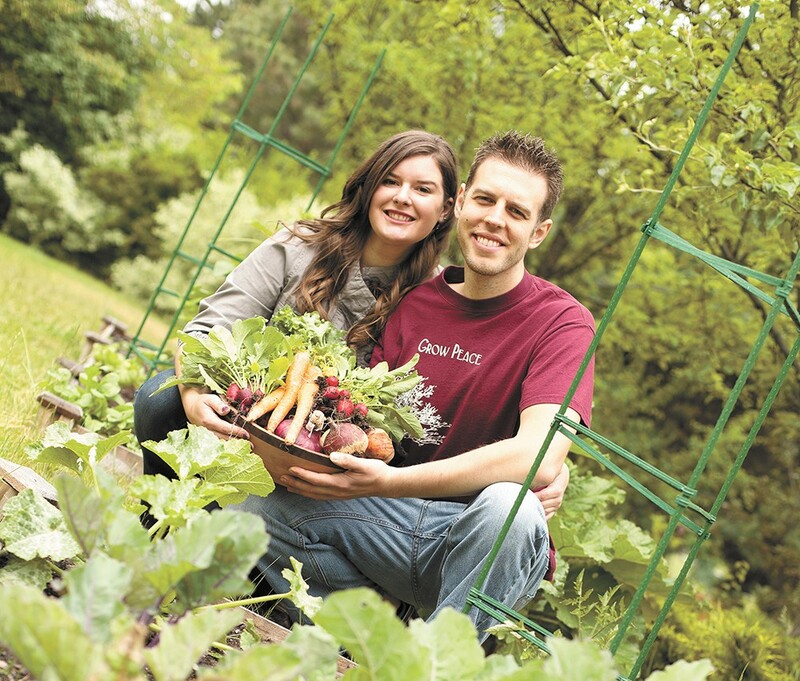 INVeg co-founders Tessa Trow and Josh Meckel are organizers of the first-annual Spokane Vegfest. The two are part of a growing vegan population in the area. This is more than a food festival. Yes, there will be food — tons of it. But Tessa Trow says that Spokane VegFest is more than that: it's an opportunity, a chance to show people that their assumptions and judgments about vegans are wrong. "There's always this joke: how do you know there's a vegan in the room?" she says, pouring a cup of tea at her kitchen counter. The punch line? "They'll tell you. "I don't do that. If somebody starts a conversation with me, yeah, I'll talk about it, I'll answer questions." But she says she's overly conscious not to be pushy. Trow is one of three leaders of a local group called INVeg, otherwise known as the Inland Northwest Vegan Society. They're no ragtag group of hippies: in just six months, she and her fellow members have conceived and planned a daylong vegan festival — complete with more than 40 vendors, guest speakers, cooking demos, yoga classes and a belly-dancing show. They're expecting 1,000 people to show up this year. In the past year, Trow says the group's membership has exploded: monthly potlucks have turned from gatherings around a table to giant affairs with nearly 100 people, all interested in sampling vegan food. 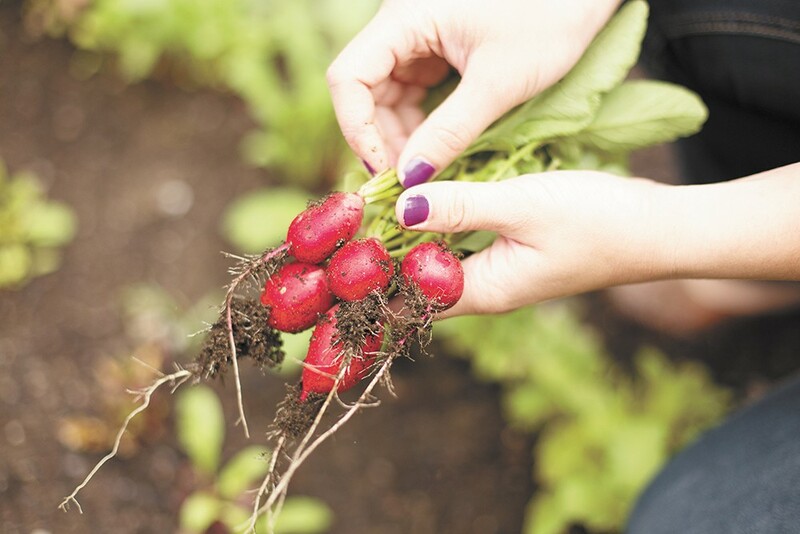 Locally, there's been a shift: vegan options — food completely devoid of meat and dairy — are available on most local menus. Spokane even has a downtown eatery, Boots Bakery & Lounge, that only serves vegan food. A 2011 study by the Vegetarian Resource Group found that 2.5 percent of people in the United States say they adhere to a vegan diet. More and more celebrities — from Bill Clinton to Bob Barker, Mike Tyson to Paul McCartney — have come out as vegans. With so much increased interest in veganism, Trow is starting to wonder if that joke — poking fun at the pushy, judgmental vegan stereotype — is as irrelevant as a blonde joke. She points to Marshall, Texas: a tiny town with a massive annual vegan food festival, one that attracted the attention of the New York Times when its mayor went vegan and encouraged the town to try it, too. "They have one of the biggest vegfests in the country. In Texas!" Trow says. "And we thought, you know, if Marshall can do it — of all places — we can do it, and we can make this successful." At Spokane VegFest this year, expect to leave with a full stomach and a ton of samples. Trow and her co-planners, Josh Meckel and Ron LeBrun, have signed on national companies including Tofurkey, Bob's Red Mill, GoodBelly, Whole Soy & Co. and Larabar, as well as locals Victor's Hummus, Huckleberry's and Main Market Co-op. The group also is flying in some nationally known vegan personalities to speak at the festival. Ginny Kisch Messina — known as The Vegan RD and co-author of Vegan for Life — will answer questions about the health benefits of veganism. Activist Lisa Kemmerer will speak about animal rights and activism. Trow — who has a library of vegan cookbooks in her kitchen — says one of her favorite authors, Miyoko Schinner, known for her book Artisan Vegan Cheese, will host a vegan cheesemaking demo. Trow says Schinner's recipes are not the squeaky cheese substitutes you'll find in the grocery store: "I actually had a vegan cheese and wine tasting party a couple months back," she says, in which she served Schinner's recipes: "People did not know" they were eating vegan cheese. "In the middle they were kind of like, 'Wait a second, I thought vegans didn't eat cheese.'" Alison Collins, owner of Boots Bakery & Lounge, also will hold a baking demo at VegFest. Trow says a vegan food festival is just the beginning for their group. Just recently, they started a membership program: for $20, INVeg members can get 10-percent-off discounts at eateries like Neato Burrito, Boots and Stella's Café. Soon they hope to be offering Vegan 101 classes and mentorship programs to help support those interested in trying veganism. Trow and her fellow vegans know that if people just try the food at VegFest, they're going to think of veganism as something that's not pushy, but delicious.